You will meet with an Oncologist for your first consultation to go over all of the options available. It is really important for your pet to be present for this initial consultation, so that the doctor can perform a physical examination and evaluate your pets clinical status. Additional diagnostics or staging tests may be recommended depending on previous records, the physical examination and the disease process. Rechecks with your pet may rotate between our doctor’s depending on preference, availability and the desired time of day for scheduling. We offer later day appointments on Tuesdays and Thursdays, which help to allow you to work and then bring your pet for chemotherapy. Drop off recheck appointments are possible upon request. 2. 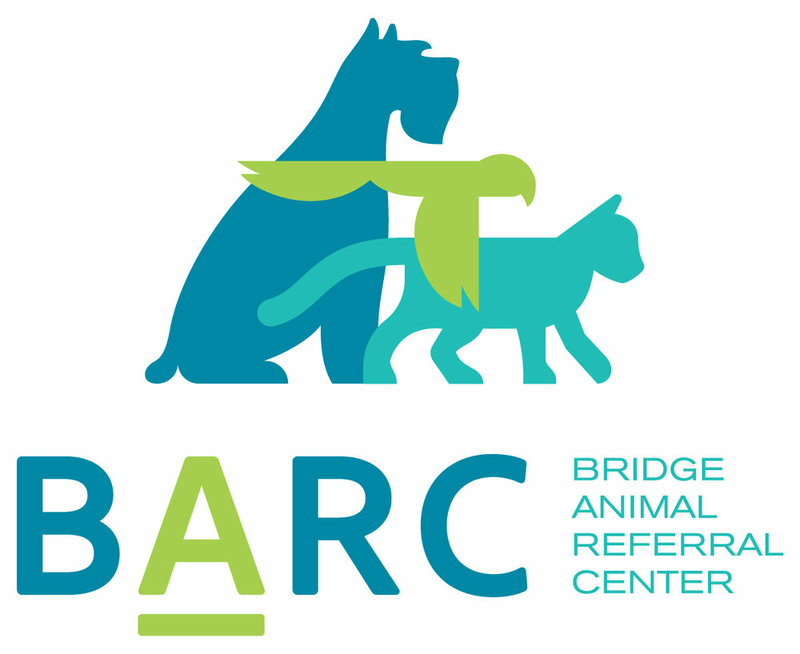 Why was I referred to BARC ? You were likely referred to us because your veterinarian wants you to get comprehensive cancer care or you need ophthalmology support. Your veterinarians wants you to be able to have a chance to discuss the disease process and plan with someone who knows the foremost options available for your pet’s care. We want to help educate you about your pets disease and make sure you have the latest and best options available to you. We can focus on you and your pet’s disease to make this journey as pain free as possible. With a cancer diagnosis, it will still be an emotional journey, but we are here to help. 3. Is my pet a candidate for Electrochemotherapy? If your pet has a tumor that has been surgically removed or is superficial and accessible, they may be a candidate for electrochemotherapy. This is a novel technique that is showing promise in controlling tumors of the skin, eyelid, footpad and lips. Have your veterinarian inquire as to whether your pet’s tumor may be a candidate for this therapy. 4. What are common misconceptions about pet cancer? We feel a lot of emotion when we hear about a friend or family member being diagnosed with cancer. Our pets are the same. They are a large part of our families and we want the very best for them. Much of what we know in human cancer has come from our studies in dogs. This allows us to use the same cutting edge therapies and diagnostics for them. We have translational clinical trials that are allowing us to gain more information about cancers and we have therapies that have been derived from clinical trials where success has been had in both species. Cancer is no longer a death sentence. We have advanced diagnostics for early detection, therapies that are keeping pets comfortable and extending the lifespan. The world of oncology is rapidly advancing and new drugs are available that were not around years ago. It is the fastest growing field in science right now. 5. I’m a Veterinarian, where can I get more information? If you have a case you have questions about or would like to refer, Dr. Tripp, Dr. Piscoya and Dr. Hodgson are available for phone consultation (doctor to doctor) Monday through Friday. Please call us or email us information about your case. We want to make sure we have a team approach to care.